The shooting nails use the blank ammunition emission generated propellant gas as the driving force, anfd then driving the nail body into building. Plus usually consists of a plastic nail ring or collar of the constitution. The role of the ring gear and the plastic collar of the shank is fixed in the gun barrel, so as not to bias the firing side. 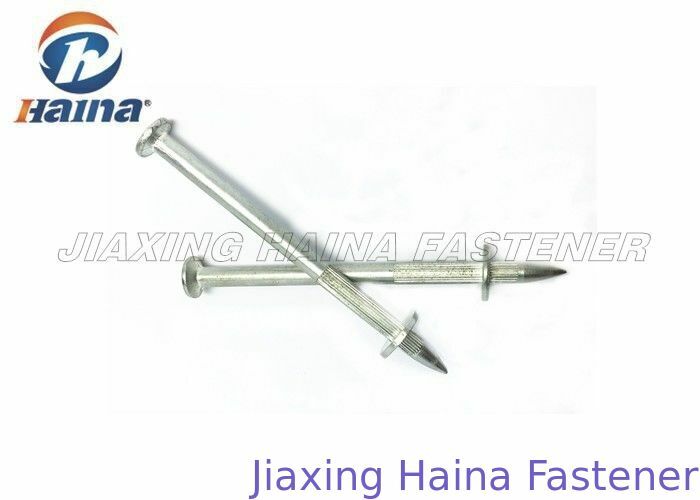 We manufacture many kinds of nails:coil nails, framing nails, roofing nails, common iron nails with 6years experience. We can offer you the wide range of nail size (from 2.1mm to 3.3mm) and in different finish (anti-rust, zinc galvanized, hod dipped galvanized), meanwhile we supply the nail guns which is compatible with our nails for your choice. Our aim is to supply good quality nails & nailers, and also the good service to our clients. 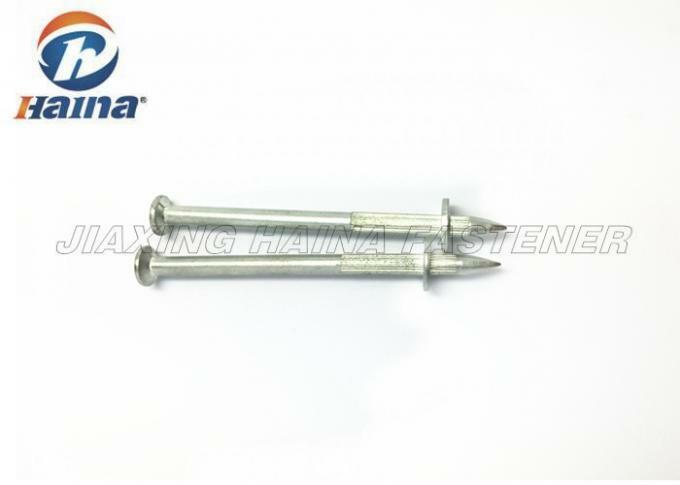 The shooting nails is a kind of nails which shooting the nail into the concrete or steel and other substrates, forming the fastening effect. Nailing material for general use 60 # steel, heat treated, the finished core hardness is HRC52-57. It can penetrate Q235 8mm-12mm plate. 1. Professional Manufacturer: All of our Fastener are designed and manufactured according to buyers' specification and performance. 4. Perfect fastening solution with 20 years experiences to solve your problem: Wide range of parts selection. 5. Customized Ideal Fasteners: customized services according to the samples and drawings offered. Model NO: 2.0"*9BWG / 2.5"*9BWG/3"*9BWG, 2.5"*10BWG/3"